We get it, fellow Canadians. It’s still the dead of winter and you’re dreaming of using your rewards points to trade white snow for white sand and to be served tropical and slushy drinks at your whim. El Pastor translates to “in the style of the shepherd” and is a popular dish in central Mexico. 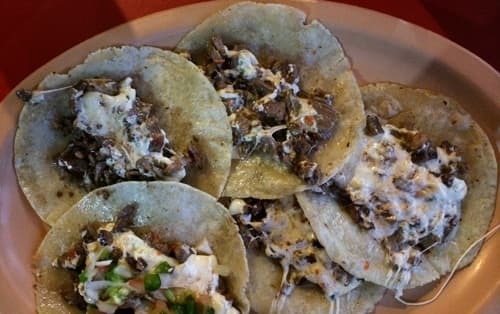 The meat of the taco features succulent, tender, spit-grilled, spicy pork cooled with onion and pineapple. Served on a fresh tortilla, it is sure to be comfort food both for Mexicans and visitors. Use your points to get you to Oaxaca or Mexico City, stake out a local spot, and eat your heart out. Traditional Hawaiian cuisine features a lot of seafood, so for a gustatory Hawaiian experience, you may as well go bold. Poke is a salad, and the popular addition to the salad is a raw, seasoned portion of ‘ahi (tuna) or tako (octopus). Sounds a lot like sushi, right? It is accurate to assume that Japanese and other Asian cuisines have influenced Hawaiian cooking, and with all of that tropical fruit and vegetables that Hawaii has to offer, you can bet that the island’s charm provides powerful flavours to the appetizer. You can find poke on all the Hawaiian islands, but using points to book your vacation in busy Honolulu will ensure you will have plenty of options to enjoy it. It seems that celebrity chefs are building a formidable presence in Las Vegas and whether you’re a high roller or keen budgeter, you can indulge in some of their signature wares. Gordon Ramsay has three major eating establishments in Vegas; to taste his signature Beef Wellington, reserve a dinner at “Steak” in Paris. Other celebrity chefs like Emeril Lagasse, Wolfgang Puck, and Giada De Laurentiis all have signature restaurants located on the strip. It may be hard to choose where and what to eat, but walking up the strip to the next restaurant may burn enough calories to prepare you for your next meal. Montreal smoked meat is not only a city staple, it’s an everywhere staple. 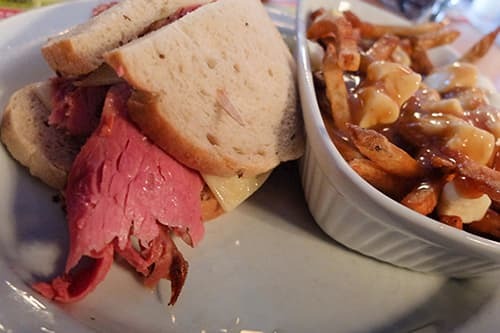 The traditional style of Montreal smoked meat has been around for over one hundred years, and has a slight difference in spice ratios than its cousin, pastrami, in New York. 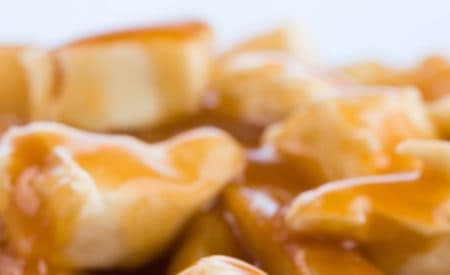 While you’re in the province of Quebec, you may as well experience its famous poutine—thick cut fries, topped with gravy and cheese curds. Consider bringing your entire family along for this close-to-home indulgence, as booking their travel allows you to accumulate even more Expedia+ rewards points! The fishing industry is a major source of income for many Maritimers, and the lobster business is no exception. 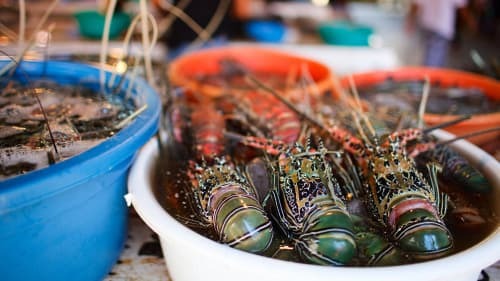 Atlantic lobster has been nicknamed the “King of Seafood” and is not only delicious, but is considered a healthy protein option that is as versatile as chicken. The lobster seasons vary on the East coast for conservation purposes. Depending on the weather, lobster season in Halifax is at its prime from mid-November to the end of May. 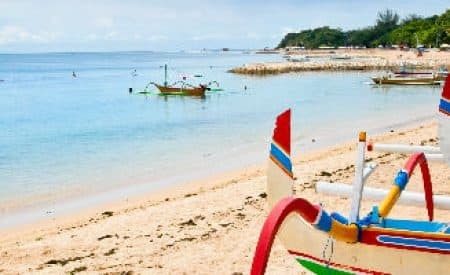 Take a look for exclusive local experience options for any of these popular destinations. Reward points never tasted so good!